Almost minimalist (get rid of the arrows on the bezel please), the Tissot T-Navigator Automatic in stainless steel with black PVD bezel comes equipped with a pretty standard 25 jewel ETA 2836-2. At USD895, it’s pretty much the poor man’s version of a timepiece that’s been very close to my heart – the Perrelet Turbine. At 43mm, with sapphire crystal and case back it differs at one main point- PRICE. USD6,000 vs USD895 and you still get the same spinning turbine joy that all hot blooded males love and appreciate. Obviously, the Perrelet Turbine is proportionately (warning: math joke incoming) 7x more mesmerising with the see-through dial and the higher specced ETA 2892 based Perrelet P-181 movement with patented Double Rotor winding mechanism. 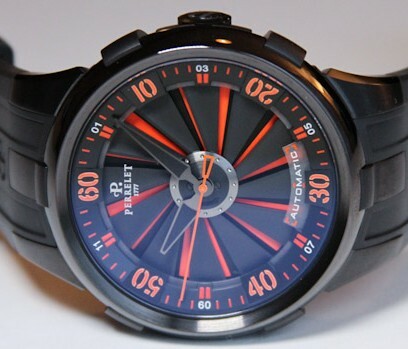 As for the “figured out” part; well… Their chronograph version leaves much to be desired. USD895 for a watch is a “poor man”‘s choice?! It’s not my goal to be condescending. 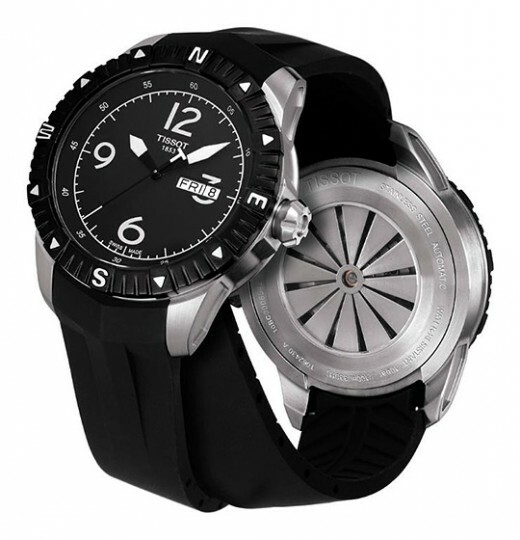 If you were to weigh the cost of owning the Perrelet Turbine against the T-Navigator, the Tissot IS by far the cheaper option for a man who doesn’t have USD6,000 to spend. That said, the world of high end watches is filled with many pieces I don’t think is worth the price tag but if I wanted the same aesthetic (let’s not bring the watch movement into this), I WOULD go for the T-Navigator simply because I can’t afford the other. In the world of haute horlogerie, we are ALL poor men.